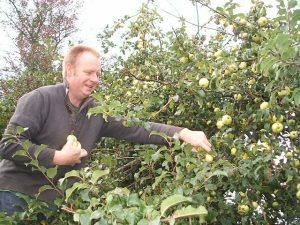 This time of the year there’s nothing nicer than to pop on the warm coat and wellies, grab a basket and head straight for the orchard for a lovely morning or afternoon of apple picking. 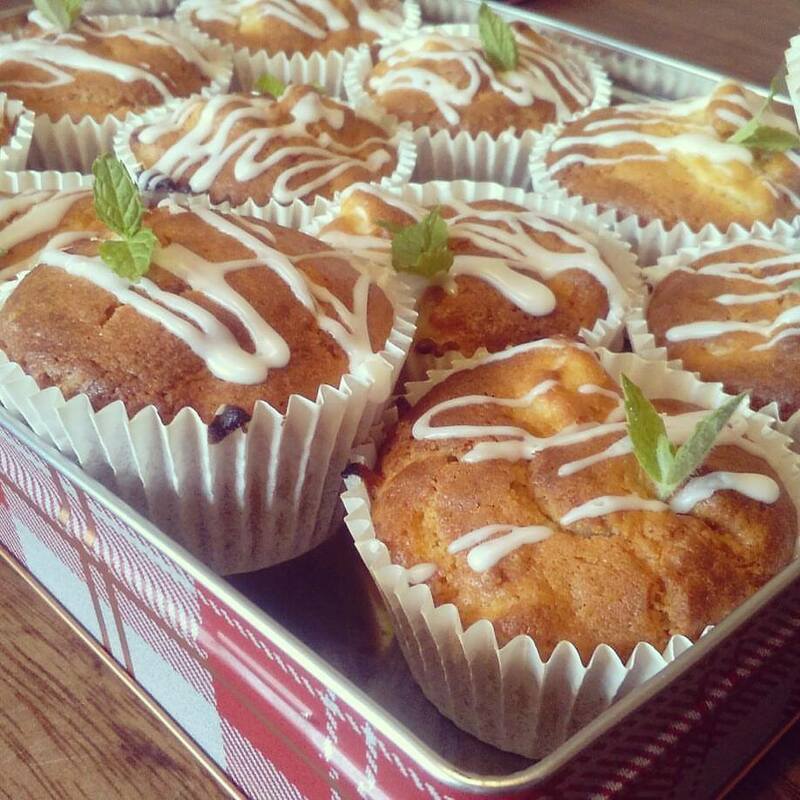 And when you get home, here’s a quick but delicious little recipe for Apple Muffins to be enjoyed with a cuppa in front of a nice warm fire, or maybe bake a box and pay a visit to a neighbour or friend to celebrate the first of the season. Celebrate the seasons, celebrate each day!!! Preheat the oven to 180C. Line a 12 hole muffin tin with cases. Sieve the flour, baking powder, salt & spice into a large bowl, add the castor sugar and stir to combine. In a jug measure the oil, milk and then crack in the egg’s and beat lightly. Lastly, without delay, peel and dice the apple, add and combine to the flour. Make a well in the centre of the flour and add the liquid. Using a spatula or metal tablespoon, start folding in the ingredients gently but not over mixing, don’t worry if the mixture looks lumpy or you can still see bits of flour as over mixing will leave your muffins tough. Meanwhile, add the icing sugar into a small bowl along with the water. Mix until you have a thick but slightly pouring consistency. 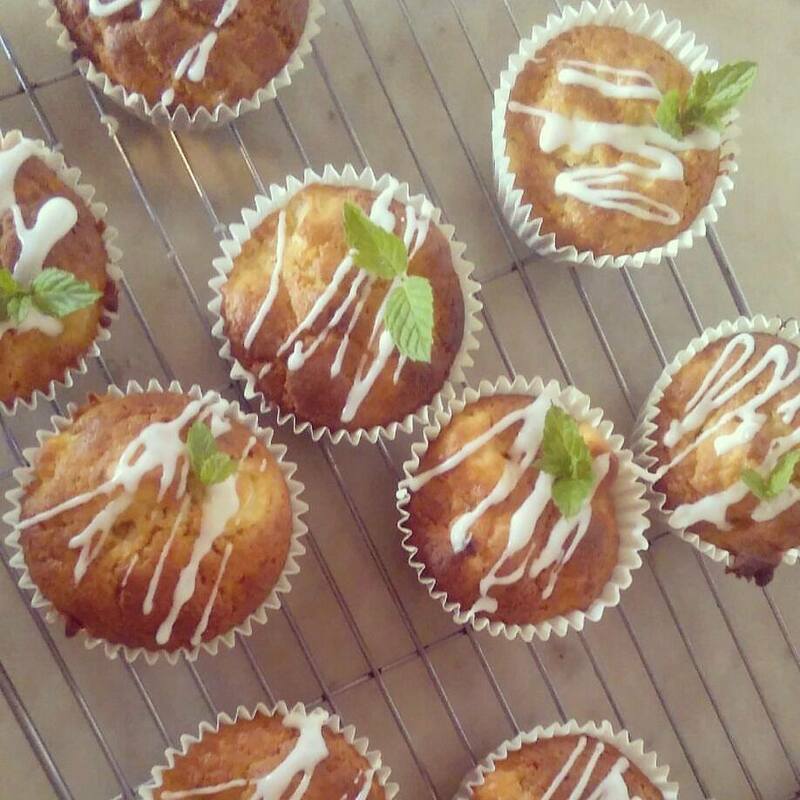 Using a knife or teaspoon drizzle the icing over the cooled muffin’s and decorate with some fresh mint..